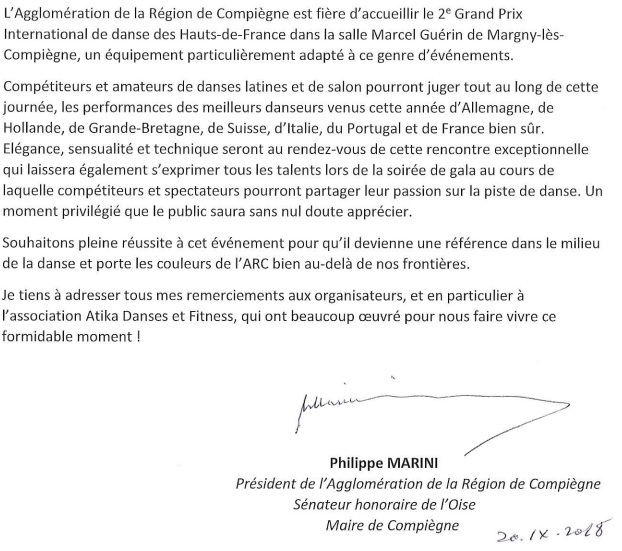 The dance of sport brings tonight its most faithful ambassadors around this First International Grand Prix organized in Margny-lès-Compiègne. The values ​​of this event expected by a large audience are based on artistic demand, proximity and conviviality. These are values ​​that the Department is proud to support and promote by supporting arts and sport associations throughout the year. It is with great pleasure that we associate ourselves with this event which constitutes a highlight of the associative and cultural life of our territory. This competition, which brings together the best competitors in the world with 200 expected dancers, including two formations of Landshut, a German town twinned with Compiègne, also contributes to the spread of the Oise beyond the department. 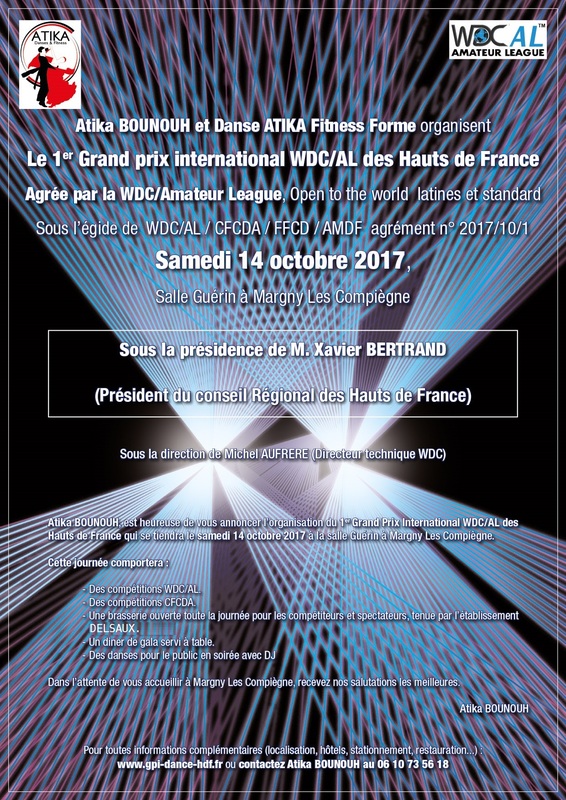 I wish you a wonderful day and welcome the work of the organizers and volunteers who have worked tirelessly for the success of this event. There is no doubt that everyone will leave here with memories to share. 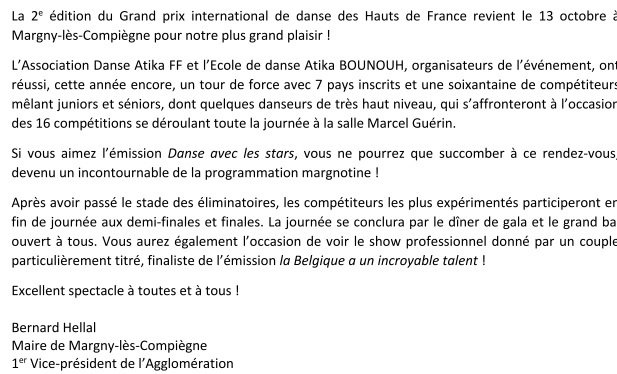 Copyright © 2019 Grand Prix International de Danse 2018. All Rights Reserved.